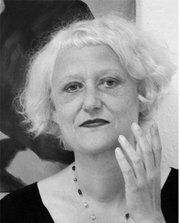 Ute Helmbold, born in 1958, is currently a professor of Graphic Design/Illustration at the Braunschweig University of Art (HBK). She graduated with honors in Communication Design from the University GHS Essen. She also worked as a freelance illustrator and art director, and illustrated a volume of texts by poet Eugen Roth.